Tom Ference lives in Vermont and is the sole member of Vermont Patent Agent, LLC. He has been a patent agent (writer and prosecutor of patent applications) since 2004. Tom works with independent inventors and small companies helping them develop their intellectual property. He starts with an initial review of your needs. He will then work with you to perform patent searches, write provisional and non-provisional patent applications and prosecute the applications through the (USPTO). Review these selected patents Tom has written and prosecuted. Tom Ference was admitted to practice before the United States Patent and Trademark Office (USPTO) as a registered patent agent in 2004. He has a Ph.D. and M.S. in Materials Science from the Massachusetts Institute of Technology. He also has a B.S. in Physics from the University of Connecticut. Tom Ference is President and a Director of InventVermont, a nonprofit organization to help educate and assist inventors with commercializing their ideas. Outside of InventVermont, Tom has also partnered with several inventors to help take their products to market, e.g. I-MarkTools marking tape measure. Tom spent 3 years as a partner in TeraComm Research, Inc. a high-tech startup company developing optical switching technology. He performed strategic planning and raising capital for the business. This included staffing, intellectual property, product development, facilities definition, and helping raise over $2-million through angel investors, SBIR research grants and venture capital. Tom holds over 40 patents for his own inventions developed independently or while working for other companies (view list). Tom Ference is as a part time professional reviewer for Lytmos Group, LLC. He has reviewed over 100 Small Business Innovation Research (SBIR/STTR) Proposals, Federal Proposal Preparation Assistance Applications, and Invention Disclosures. Tom worked 10 years as a process development engineer for IBM. While there, he took several technologies from laboratory scale experiments to manufactured products. A few of the technologies that he worked on while at IBM include: flip-chip packaging, C4 interconnects, 3-dimensional stacked memory devices, CMOS device process development, solder injection molding, deuterium processing to decrease hot electron effects, wafer dicing, and chemical mechanical polishing. 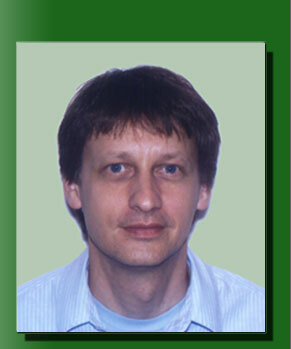 Tom has published 13 peer-reviewed journal articles (view list).